In a medium bowl, combine oat flour, baking powder, baking soda, and salt. Add the coconut oil, eggs, honey, and rice milk, whisking well to combine. The batter will be pourable. Heat a large skillet and spray with oil. 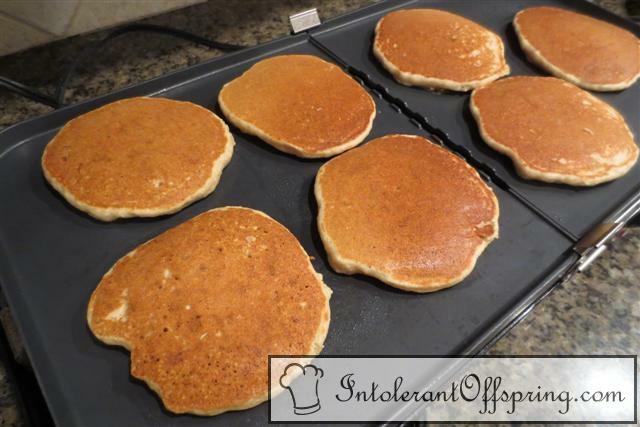 Pour about 1/4 cup of pancake batter onto the hot skillet and cook until bubbles are forming and ready to flip. Flip and cook the other side. Serve while hot.